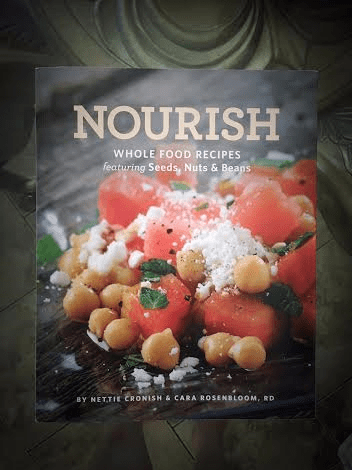 Welcome to the Nourish cookbook review, blog hop and giveaway! Join myself and 18 Canadian bloggers as we share some spectacular recipes and a chance to win your own copy of Nourish. I was thrilled to get my hands on a copy of Nourish. When I heard the premise behind the recipes for Nourish I was excited. If you have ever wanted to get more seeds, nuts and beans into your cooking this book is for you. I cook with all 3 and to have a book dedicated to whole food recipes incorporating them, that is a cookbook I know I am going to use and enjoy. This fantastic book is a collaboration from Nettie Cronish, chef, instructor and cookbook author & Cara Rosenbloom, a Registered Dietitian. And what a spectacular collaboration it is. Nourishis packed full of information on seeds, nuts and beans. From preparation methods to cooking times, descriptions of seeds, nuts and beans and the health benefits they all bring to the table. As well as a handy shopping list and how to shop for a healthy kitchen and pantry. I found it very informative and took a lot away from the suggestions. 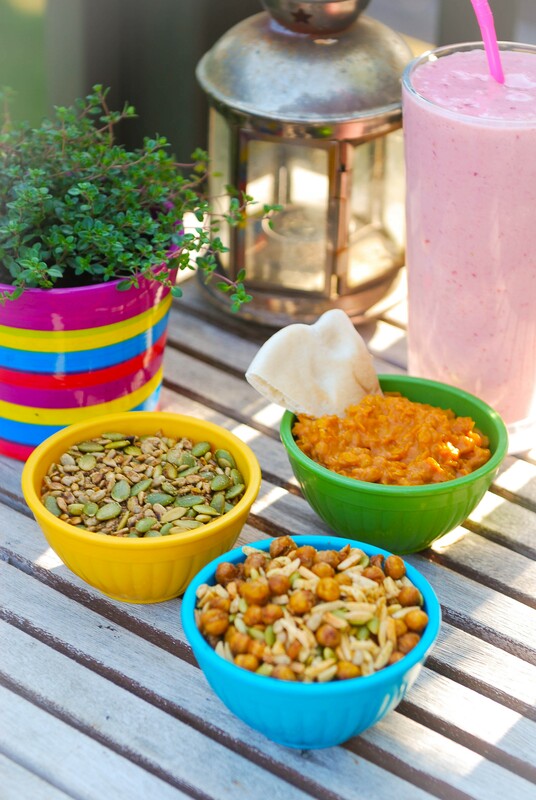 Nourish is a combination of regular, vegetarian and vegan recipes which I love. We are meat eaters in my home but enjoy vegetarian and vegan dishes often. If you have never tried vegan dishes before I encourage you to try a few. In my experience they are some of the most flavourful dishes I have eaten. It is easy to eat healthy when you have amazing recipes. 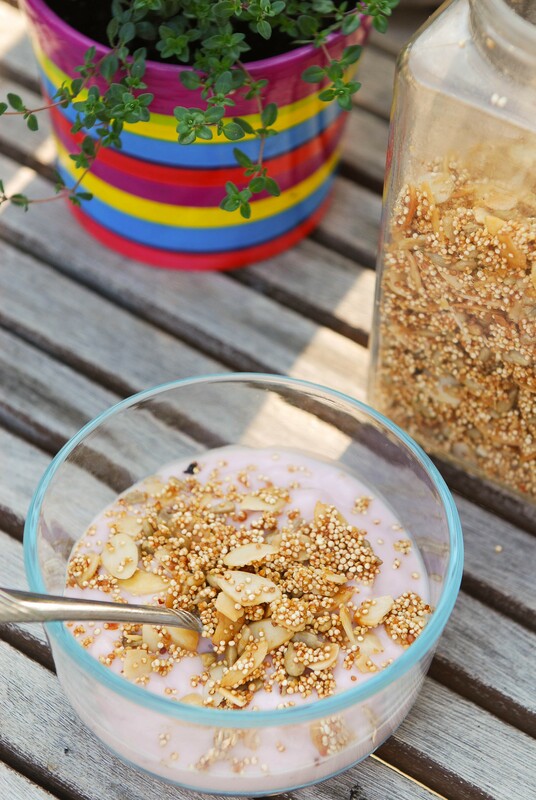 Always looking for great breakfast ideas I had to try the Quinoa Crunch Cereal. If you have never tried toasted quinoa you are missing out. It gets a unique nutty flavour and the crunch is fantastic. 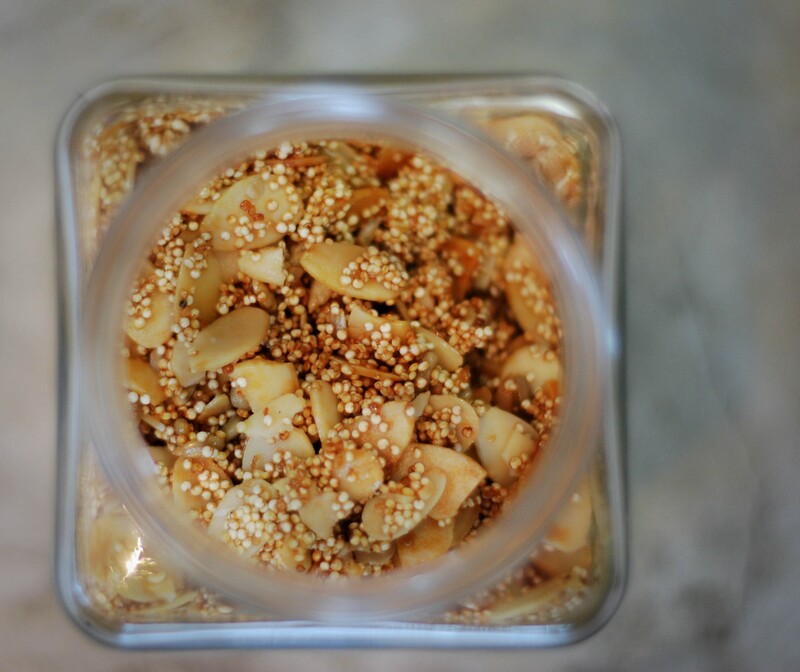 Mix that with almonds and sunflower seeds with a touch of maple syrup and you have a sweet toasty almost buttery topping for yogurt, as a cereal or just by the handful! This far exceed my expectations. I keep opening the container for nibbles and the aroma is fabulous. Preheat oven to 375F (190C). Line a rimmed baking sheet with parchment paper. Bake until toasty and fragrant, 10 – 12 minutes. Be sure to check out the entire amazing #NourishBloggers team below to see more amazing dishes from Nourish and multiple chances to win your own copy of Nourish. Thank you, Whitecap Publishing for supplying the complimentary copy of Nourish for this review and for the giveaway. All opinions are my own. And a big thank you to Heather for asking me to participate. I hope you enjoy it as much as I have! Best of luck to all who enter. 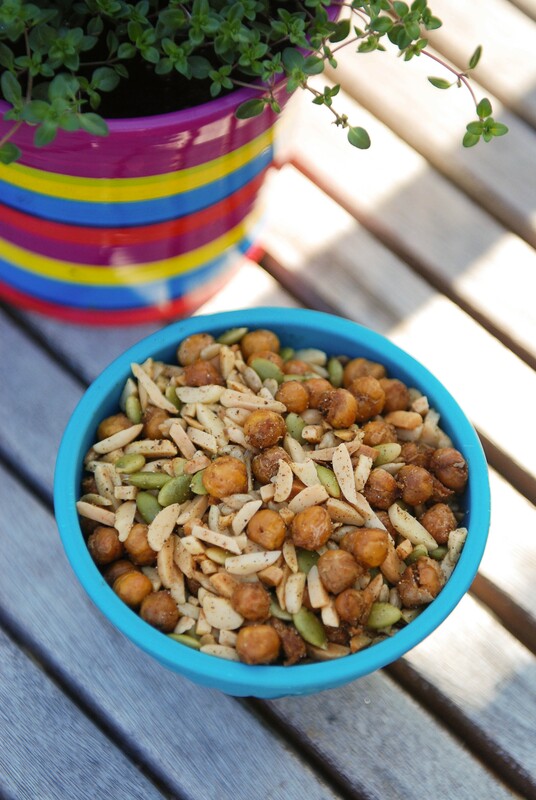 To enter: Post a blog comment below answering the following question – What is your favourite dish using nuts or seeds?